You can sing a rainbow, but can you climb a Rainbow? 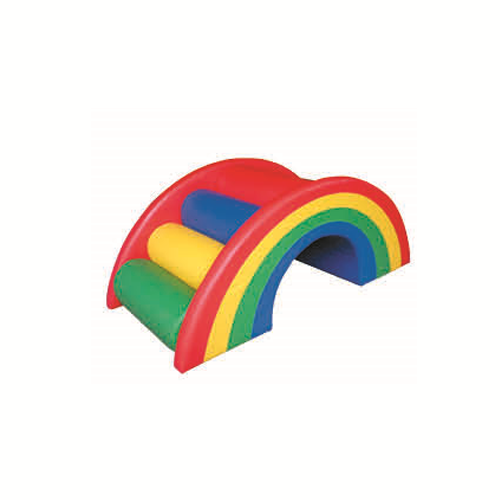 Encourage social interaction, colour recognition, and gross motor skill development with this colourful Rainbow arch. Kids are encouraged to safely climb, crawl and balance in a soft, stable environment. The foam bolsters hook to the rainbow arches with loop lock attachments to prevent pieces from sliding apart during use. Rainbow arches are thicker at the base for added stability. Soft, sturdy, polyurethane foam is covered in reinforced, phthalate-free vinyl to create a comfy and stimulating learning environment.